Finally! 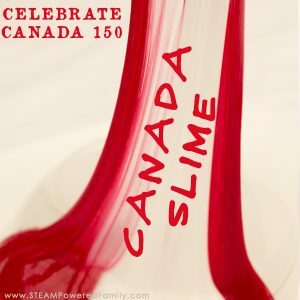 A slime recipe that really works – no liquid starch, borax powder, detergent. Super simple and super stretchy saline slime. Ours stretched over 40 feet! 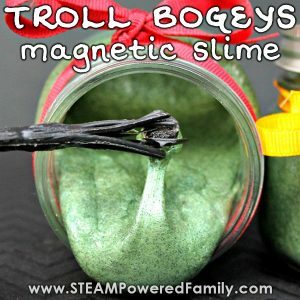 I’ve been trying to make slime for over two years. Yes, you read that right, two years! Finally, after all those failures, I found a recipe that actually works! It uses only 3, easy to find ingredients, and no liquid starch, borax powder or laundry detergent. Just quick, easy and with perfect results every time! We love our saline slime recipe! 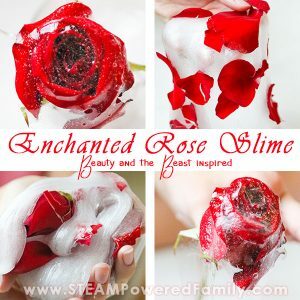 Have you ever seen a really cool slime recipe? Over the past couple of years I’ve been so inspired by some of the amazing slime activities I’ve stumbled across. Yet, when I tried to make my own slime, every attempt was a complete and utter failure. About six months ago I went on a massive shopping trip buying every possible ingredient. I had researched the science, read so many recipes. I was determined to make slime. But after spending over 6 hours trying, all I had was a lot of wasted materials, batches of nasty, unusable gooey substances, and a splitting headache (that powdered borax always does a number on me!). To say I was frustrated with slime making would be the understatement of the century. 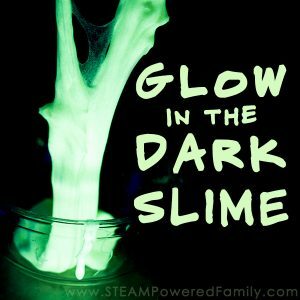 I put together a lot of our lessons learned and tips on slime here. When looking up a slime recipe, one of the first things I noticed was that almost all of them called for liquid starch. As a Canadian I don’t have access to liquid starch. To demonstrate my own devotion to the slime cause, I even tried making my own liquid starch using a technique from an older military man, turned prepper. It still didn’t work! Next I turned my attention to trying it with borax powder. Failure. Plus the Canadian government advises against using borax powder around children, and I have lung and heart conditions that borax powder aggravates. So I ditched that idea pretty quickly. I spent hours reading labels and searching for the one, rare brand of detergent that I was promised would work. It still failed. Probably because the exact magical laundry detergent I was told to find, couldn’t be found anywhere, and the others were poor substitutes. It shouldn’t have been so hard. All I needed was a substance that would give the glue some stiffness and remove the stickiness. There had to be another answer. Finally I found it. 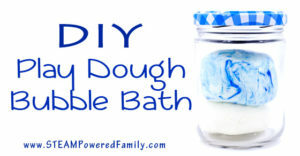 3 Simple Ingredients = Wildly fun bath time! Three Crafty Girls Where Have You Been? Then a friend sent me this video of three cute sisters calling themselves Three Crafty Girls. In the video they quickly and easily make this crazy, big, fluffy slime. The best part? The basics of their recipe were so simple. You could find them anywhere. Where were these girls during my years of slime failures???? I was so excited. I raced down to my corner store, grabbed the one ingredient I didn’t have and within 5 minutes of getting home had my first successful batch of slime! After that batch, we made 10 more. Each time playing with the recipe and technique, fine tuning it until it was so simple, so easy. Slime That Is Soooooo Stretchy! 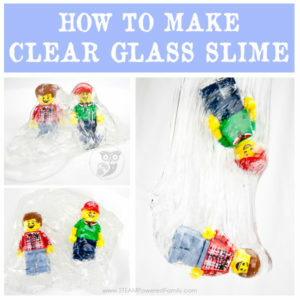 This slime is so stretchy my kids were able to stretch a single batch over 40 feet through my house before it finally broke! Buffered Saline Solution – You can find this in the eye care aisle. Make sure it is the buffered saline. In the States this will contain boric acid, but the one I bought here in Canada doesn’t have boric acid or sodium borate listed in the ingredients. It still worked though! Formulas may vary based on your location. Check the ingredients and ensure it is buffered saline, and it should work. Add a bottle of white glue to a bowl (I found this quite forgiving so just try and get most of the glue out of your bottle or if you buy in bulk estimate the portion). Sprinkle with 1/4 teaspoon of baking soda. Mix completely with a spoon. Add a few drops of food coloring if you want at this point and mix it in completely. This next bit is how we find it works the best, put some buffered saline on your hands. 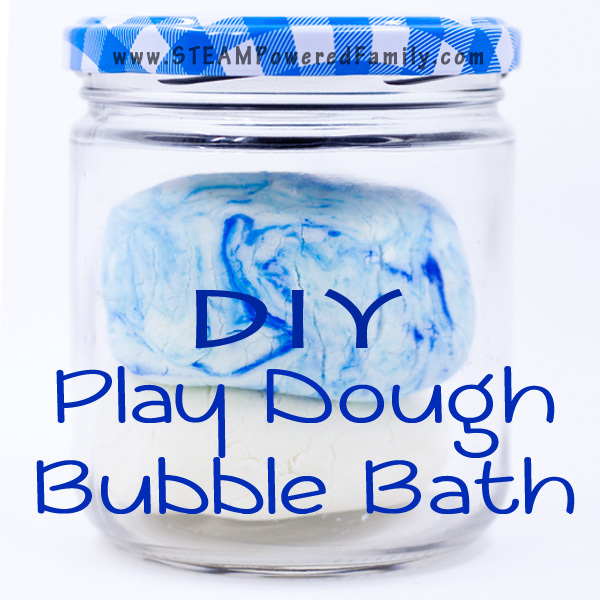 Pick up the slime and start kneading and mixing it with your hands. It will be sticky, but only through working it will you get the best, stretchy slime. Work it really well. It will change into a better slime consistency as you work it. Pro Tip! If you are really struggling with how much buffered saline solution to use, try our latest Cornstarch Slime Recipe instead. It helps get the sticky out without ending up with breaking slime. 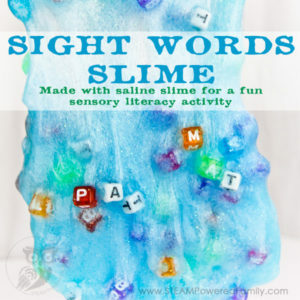 Playing with slime is a lot of fun, but parents need to be involved and informed. Please, read all labels. I can only speak to the products I can buy locally. The formulas and products in your area may have different ingredients or formulas which may produce different results. Extreme caution should be used if you are substituting any ingredients. Be informed and use appropriate safety steps. If you have any questions or concerns, speak to your doctor or local health practitioner. 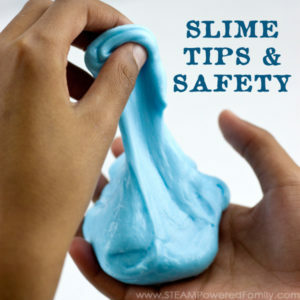 For more tips and safety precautions about slime, check out this article. 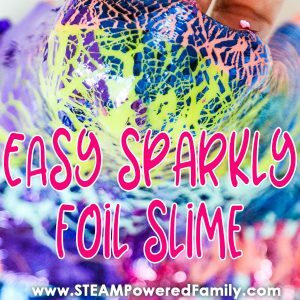 Check out how easy it is to make this slime! 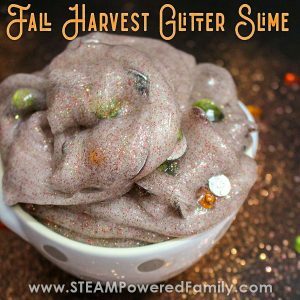 It takes about 5 minutes to make this saline slime recipe. Video is set to double time. Enjoy! 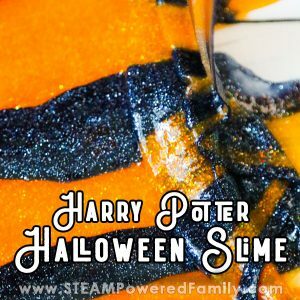 I’ve had a lot of questions over time about what to do with slime that is too hard or breaking. If you are experiencing this, it is likely due to too much buffered saline in your slime. But what can you do once you have made the mistake? The first is to run the slime under warm/hot water. You can either do this just under the tap or using a bowl of water. Simply wet, knead and work in the water, then dip again and repeat. You might need to do this 2 or 3 times but it should bring back some of the stretch. 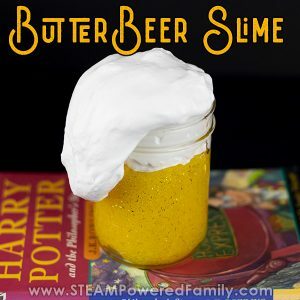 Another idea you can try is to add some hand lotion to your slime and work it in. Sometimes that will help bring back some of the elasticity. My general feeling in this though is that slime should not be kept for any length of time. Make it, play with it and toss it. Then make another batch on another day. This is simple due to bacteria growth and I would rather err on the side of safety. 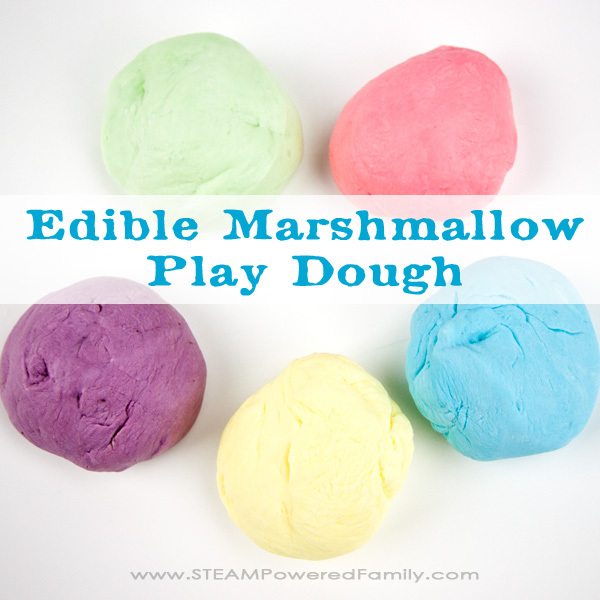 Plus our recipe is so quick and easy, why play with old slime? Got questions? Read on to get all the answers! 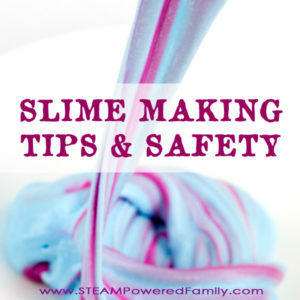 Slime Safety & Tips for Success! 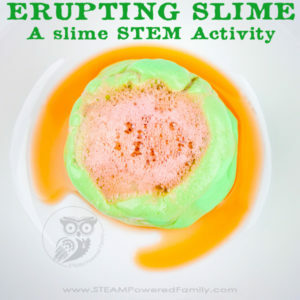 Slime STEM Activity – Volcano Slime – Erupting Chemistry Slime Fun! 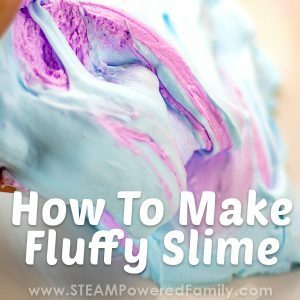 Fluffy Slime – The fluffiest! How about getting patriotic? Simply replace with your national colors! 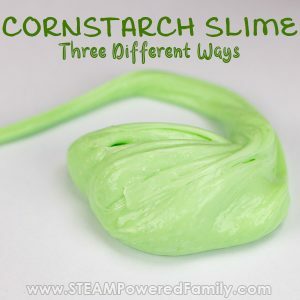 MAKE A DIFFERENT SLIME WITH CORNSTARCH SLIME! WE HAVE THREE DIFFERENT KID APPROVED RECIPES. 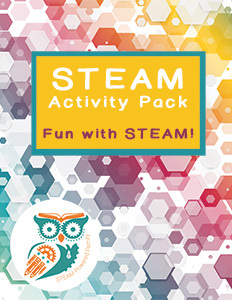 Looking for more amazing STEAM activities and inspiration? 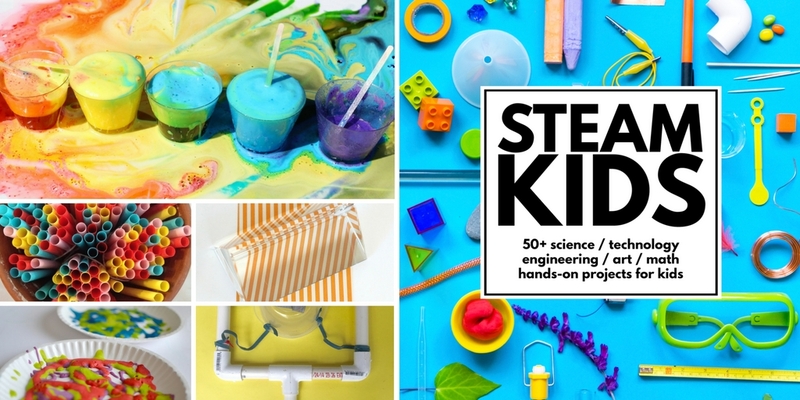 Check out STEAM Kids my bestselling educational activity book packed full of ideas for hands on learning and fun! Join the STEAM Powered Family Newsletter to get even more inspiring, hands on learning ideas, free printables and access to resources. Click here to become a member of the family! Previous Post: « Jelly Soap Making – Sparkly, Jiggly, Soapy Fun Jellies! I’m struggling with how making slime is really a stem project. Can you explain so I can explain to others? EEEEP!!! SOO excited to try this! We are Canadian too–& have resorted to pay over priced shopping etc from US Amazon 4 Sta-Flo cuz, I am no chemist! Thank you for sharing! Thank you so much for your wonderful explanation and ideas! Hi. In the UK would I use Baking Powder or Bicarbonate of Soda please? Bicarbonate Soda 🙂 And I’ve updated the post so it is clear for others. Thanks for asking! This is brilliant! I buy white glue by the gallon, so could you please give me a measurement of your bottle of glue? Thank you so much! If you click on the images of the supplies it will take you to the details on all the products including standard sizes. Enjoy! Thank you! I’ve been looking for a borax free version for a long time. Does it have to be white glue or would clear crafting glue also work? It needs to be a PVA glue. Enjoy! Oh, my! Who would have thought my contact lens solution will help to make a perfect slime. And I would totally be on a look out for that slime STEM activities post! I don’t use saline so maybe I got the wrong one or saline in the UK is slightly different. Glad I tried it without children present or would have been a disappointment. I make this also but add shaving cream before the contact lense solution. Makes it veryyyyy fluffy. Hello, can you specify how much glue exactly please? I made some but I think I added too much baking soda and the glue split! If you click on the links you can see the size of the bottle. If it is splitting, likely you are using too much buffered saline. Go with very small amounts, just a few drops at a time and really work it in before adding more. Only add just enough until it isn’t sticky. Too much saline will cause it to break. We’ve just fallen in love with your blog and have ordered your book. We’re in the U.K. And we’re wondering if Bausch & Lomb Sensitive Eyes Saline Solution 500ml https://www.amazon.co.uk/dp/B001E5CD3M/ref=cm_sw_r_cp_api_wduYybYFS18D4 would work for slime?? As long as it is a buffered saline it should work. Thank you for the support! Used your slime recipe today with my daughters after a sad attempt at a store bought kit from 5 below. It worked! And now I have happy kids with slime! Yeah! That is great news! You need to ensure you are using a proper buffered saline solution. Try a different buffered saline if the one you are using doesn’t work. It should start to pull together very quickly and easily. The other issue could be your glue. I recommend using Elmer’s School Glue (PVA), as it has the correct chemical composition for the reaction. If you use the wrong glue, it won’t work. How do you make it marbled? Exactly how much saline solution do you use? If you happen to know it would be greatly appreicated! I’ve always made my slime by feel (aka stickiness), plus the amount I add to my hands, but as an estimate if you are planning for a group I’d say 50 to 100 drops-ish. Can I do this with clear glue? I made this recipe and it worked great at the beginning but the next day it was all watery and the slime part was really stiff and not stretchy. ..any ideas why? Hi, I’m a teacher in Spain and wanted to ask you can you add anything to the glue like glitter or beads or is that for another type of slim? Glue, saline solution and food colouring + glitter? Is there a way to “fix” the slime if I added too much saline? So does it have to be a certain kind of saline solution? 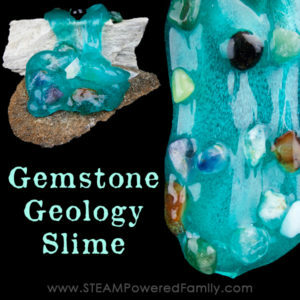 Because I got the cheap kind and it wld come together as slime but just after a few mins of playing with it, it would break & I would just throw it away & it’s like throwing away $$$ 🙁 please help !!! If it is breaking you are using way too much saline. Use small amounts and really work it in. It will start very sticky, but the stickiness will go away. You can see this in the video. HI! 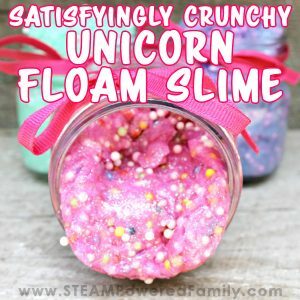 After HOURS of failed slime making yesterday with this recipe (not from you, but was given the same by a friend’s mom) I really want to give up. However, after reading this I realize we obviously used too much saline, as I though my problem was too much baking soda so we kept adding saline. Question, did you ever successfully “recover” any failed slime with this? I have an entire ziploc bag filled with our failed mounds of hard, cracking & breaking UNslime. I was wondering if I added glue to it and kept working it if it would be possible, but due to the inexpensive cost of the items maybe we will just start all over. I would toss. I don’t believe in keeping slime more than a few days anyway as it is an excellent breeding ground for bacteria. That happened to me too! I let it sit for a while, then took it out and added lotion. The lotion makes it a lot stretchier and should help it form up. i just tried clear glue and it works very well. So it should not be a problem. Can you use Boston advance conditioning solution? HI we made this and it works great but after a short while it get very wet and starts to lose its stretchy qualities. Any idea what we’re doing wrong? What store did you buy the eye rinse at? When I look at the product on amazon I cannot see the ingredients in the bottle but when I look at the manufacturer website it says boric acid. 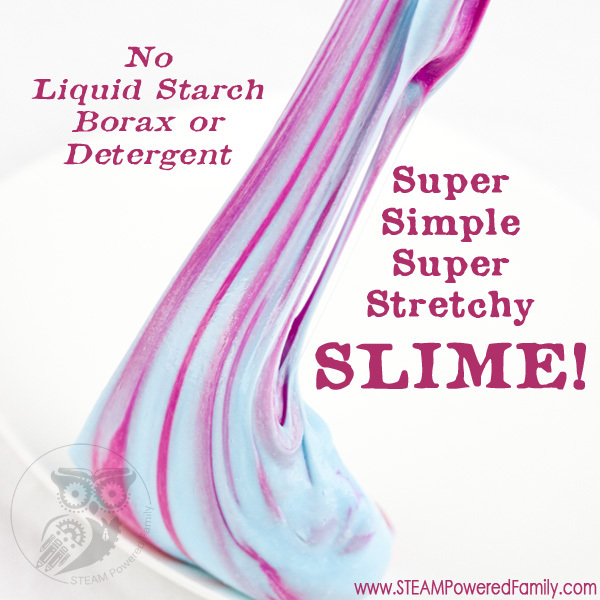 I just thought you might like to know that all working slime contains borax. Buffered saline solution contains Borate which is Borax. It’s unfortunately unavoidable. On the odd special occasion it won’t be harmful for kids to play with though. Just make sure they don’t help to make the product. Links and information on provided regarding the type of buffered saline we use. Not sure why you are asking about saline spray? But, you are welcome to try whatever you wish, it’s all in the name of slime science! Tried this today with “reclens” saline solution which I believe is buffered – contains phosphates? Anyway, didn’t work at all, just liquidy. FYI for those in Australia trying it with this product. Sorry it didn’t work. Phosphates are not what you need to look for. Look for the word buffered or buffering agent or boric acid or similar ingredient. Maybe some of our Australian readers will chime in with a brand that has worked for them.